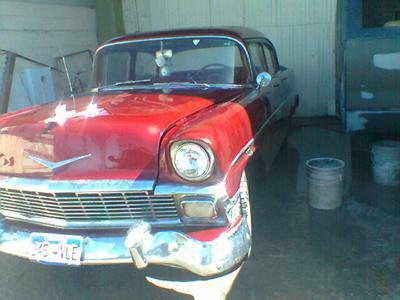 9/22/2014 Aurora, Colorado - 1956 Chevy, color red with glitter, runs good. Call me or text me if you need to see pictures. My name is Myrna and my # is 303 875 9447. Thank you. Join in and write your own page! It's easy to do. How? Simply click here to return to Lowrider Cars.